In all honesty, with all the traveling I do, I don’t watch much television. But my wife does, and when she travels with me, she likes watching her favorite TV shows on the hotel TV while I’m working. At home in Atlanta, we had cable television. Like most people, I was getting tired of the high bills and being messed around and lied to by the cable company each time our promotional rate expired. On average, I was paying around $100.00 per month for cable TV. Something had to change! So I started my research. Being a techie, I’m able to look at new technologies and drill down their capabilities before giving them a try. Also, I was already using streaming devices on the TV’s at home and while traveling, which gave me an advantage while doing my research. I ended up going two ways, one for local television and the other for national television. For local, I went with over the air TV using a Tablo TV box connected to an antenna in the attic. For national, I subscribed to SlingTV. I found out about Tablo TV from an article I read in USA Today. Tablo TV is an over the air TV turner that rebroadcast local TV through your home network or WiFi to streaming devices. Also, it has the ability to rebroadcast outside the home using the internet to one device at a time, ideal for the traveling worker. They are two versions of the Tablo TV available. A two tuner model and a four tuner model. The four tuner version can rebroadcast and record four different over the air channels at a time. Whereas the two tuner version can only rebroadcast and record two channels at a time. Other than that, both versions are the same. For all the Tablo functions to work, and to watch and record multiple channels at the same time, you do need to connect an external hard drive to the unit. I connected an inexpensive 1TB hard drive to mine that I find more than sufficient. Inside the home, you can use any laptop computer, mac or windows based. You just use your web browser and navigate to http://my.tablotv.com/. There are apps available for smartphones, tablets and streaming devices. Tablo TV supports all streaming devices inside the home but only the Amazon Fire Stick outside the home. The Amazon Firestick is Android based and has all the required internet protocols built in. But you do need to set it up and use it at home first before traveling with it. I have been successful using the Google Chromecast outside the home, but that was because the smartphone app was doing all the work and not the Chromecast. Inside the home setup is easy. My only annoyance is having to buy a dedicated external hard drive for all the functions to work. Outside the home use, setup is a little more complicated. Tablo has tried to make it easy by using UPnP, but not all routers support it. On routers that don’t support UPnP, you need to have a static IP for the Tablo. Then create forwarding rules in the router’s firewall for it to work. My other annoyance is it tends to be a bit slow when using the user interface outside the home. Other than my two annoyances above, the Tablo TV is perfect for watching both live and recorded at home local TV while traveling. SlingTV was a no-brainer for me to watch national television both inside and outside the home. SlingTV is an over the internet TV service that you can watch on almost all devices, laptops, tablets, smartphones and streaming devices. Unlike Tablo TV, you don’t need to purchase any additional hardware to add to your network at home. Just pay the modest monthly subscription fee to stream live national television channels such as CNN, FoxNews, A&E, the History Chanel among others. Again, I use an Amazon FireStick to access SlingTV while traveling. When overseas, you will need a VPN to access the service. Just this month, SlingTV added an online DVR service. You can now schedule recording of your favorite shows ahead of time, then watch them later online. Why I use the Amazon Firestick for my TV watching while traveling. 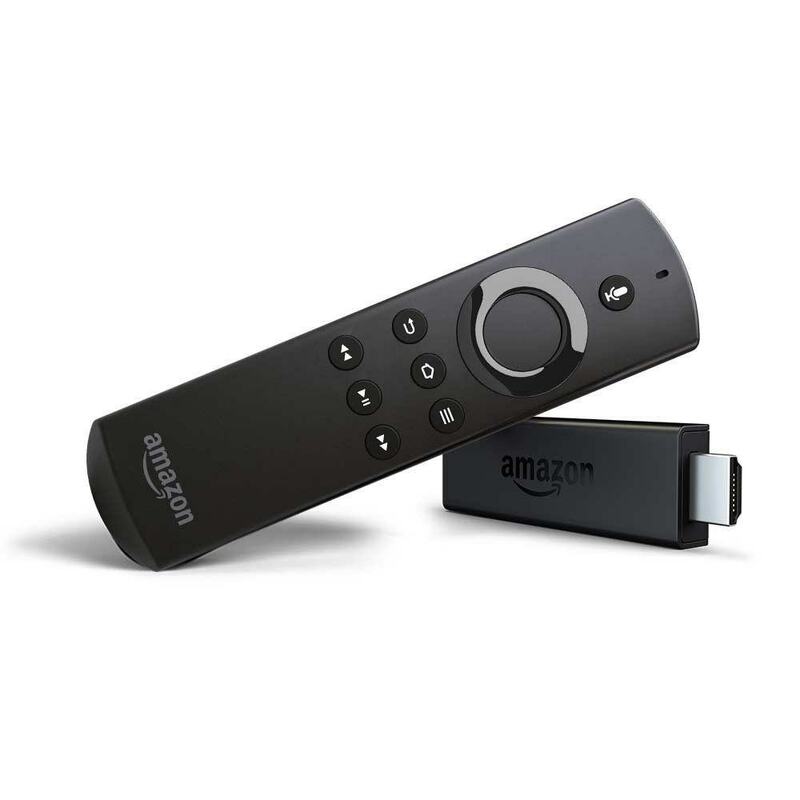 The Amazon Firestick is a small device just a little larger than a USB flash drive. What makes excellent for traveling is its ability to log into WiFi hotspots and the Hotel’s internet. The only downside is it’s Amazon-centric. I’m Okay with this since I’m an Amazon Prime member. As a Prime member, I can watch plenty of free TV shows and movies with my subscription. Also, it is Android based so you can side-load other Android Apps that aren’t in the Amazon App store. As an added bonus, it supports Bluetooth. Being able to watch the same TV shows and movies out of town as I do at home is a great addition when traveling for work and taking family with you. My wife no longer misses her favorite TV shown when she goes on trips with me. And you know the saying about happy wives? Using both TabloTV and Sling TV, I’ve become one of the cable cutters, saving money and I’ve enhanced my traveling experience by taking a little of home with me. Have you cut the cord? If so, let us know about your experience by leaving a comment at the bottom of this page. How are you recording tv? Also, what do you recommend or do you to try to “stream” in a moving vehicle? thanks. Cloud DVR is an option with SlingTV. TabloTV has a DVR feature as standard. I hope this helps, thank you for leaving your comment.